We're delighted to host The Quartermaster's BBQ at Live at Chelsea 2019. We will be offering a delicious casual dining package set on the beautiful South Terrace of the Royal Hospital Chelsea: a BBQ feast including a choice of white, red or rosé wine and a choice of seasonal summer salads. Your package includes.. Your ticket: Premium top price seats to the performance Your exclusive hospitality: Dedicated VIP entrance to Royal Hospital Chelsea Two course gourmet summer BBQ Half a bottle of wine per person, with a choice of red, white or rosé Special commemorative VIP laminate & lanyard Fast track access to bar The ticket, VIP laminate & lanyard will be handed to you upon arrival. A truly exceptional dining experience par excellence, in what promises to be an unparalleled concert fine-dining experience, enjoy cuisine of the highest order within the majestic confines of Royal Hospital Chelsea's State Apartments. Your package includes.. Your Ticket: Premium top price seats to the performance Your exclusive hospitality: Dedicated VIP entrance to Royal Hospital Chelsea Champagne and canapés upon arrival Three course dining experience with wine and soft drinks Exclusive access to the State Apartments during the concerts Special commemorative VIP laminate & lanyard Fast track access to bar The ticket, VIP laminate & lanyard will be handed to you upon arrival. Gates open at 5:30pm, arena opens at 6:30pm. Please check www.liveatchelsea.org for concert timings. Any customers wishing to purchase a disabled access or wheelchair platform ticket for Live at Chelsea 2019, please get in touch with the promoter at accessibility@kilimanjarolive.co.uk or book by phone via Ticketmaster 0800 988 4440 (0044 161 637 2697 overseas). 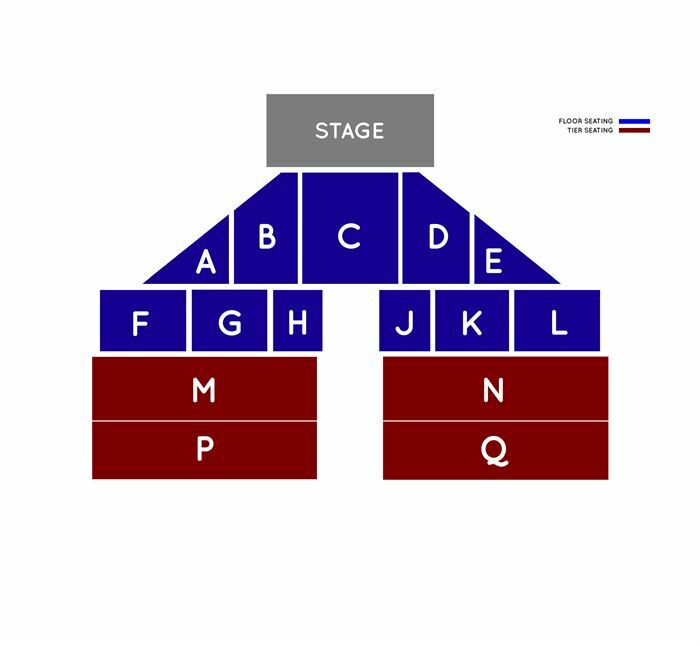 -	Please note Row A in Block M and Block N is at floor level.